Personal Counseling helps you achieve greater clarity and inner peace in everyday life. The approach is to gain perspective and tools that help you identify and transform limiting patterns while developing and reinforcing patterns that shift and move you forward. This process will help you transition through challenging life experiences or feelings of confusion by understanding how and why events are manifesting in your life. 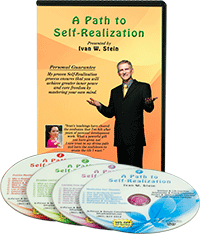 Through this process, you will gain the wisdom, tools and confidence to overcome current and future life challenges. If you would like to schedule your Initial Session, or if you have any questions about my Personal Counseling or Life Coaching services, please send me a message give me a call +1 941-677-3312, or join my mailing list to hear about upcoming events and specials. I answer my own e-mail and phone, and will keep your information confidential. There are no specific guidelines on how long a counseling relationship should last. My personal feeling is that shorter is better. I actually love when clients develop the ability to process their life challenges with less outside support. Absolutely no obligation or strings attached. This is simply a commitment to yourself so, commit for as long as you like. Sessions can be conducted in person, by telephone or by audio and video services such as Skype. The advantages of telephone and Skype include greater flexibility in scheduling, travel, and other time constraints. Session fees remain the same for each option. After our Initial Session, I will send you a "Counseling Agreement". Once signed and returned, we can move forward with other sessions. Please know that individual needs are honored; we will design a counseling schedule together. Sessions can be transferred or gifted to another person with prior approval. Please contact Ivan if you wish to transfer any sessions. Cancellation Policy is 24 hours in advance from the time of the scheduled appointment. Sorry, no medical insurance accepted.